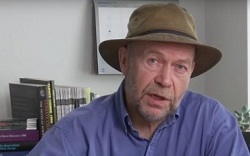 James Hansen worries that “we may be approaching a point of no return, a situation in which our children inherit a climate system undergoing changes that are out of their control, changes that will cause them irreparable harm”. 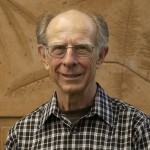 He’s looked at the models, at current observations, and at what happened during the Eemian interglacial 118,000 years ago, and he doesn’t like what he sees. 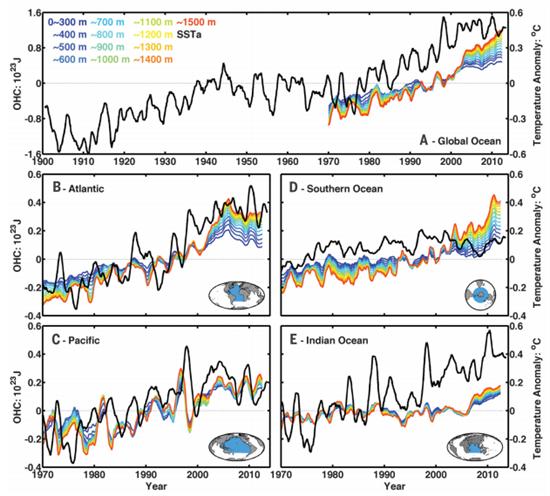 During the Eemian, when global average temperatures were about 1°C more than now, sea level was about 3-4 metres higher than now for a considerable time. 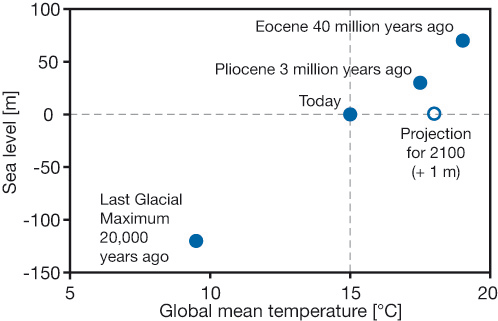 Then about 118,000 years ago, towards the end of the interglacial, it peaked at 6-9 meters, including a rise of 2-3 metres within several decades. A similar sea level rise of several metres now would see the inundation of many of the world’s major cities. 1. Game changing steel to make lighter cars etc. It’s happening, he says, through the action of consumers and industry. that a hectare of lawn in Nashville, Tennessee, produced greenhouse gases equivalent to 697 to 2,443kg of carbon dioxide a year. The higher figure is equivalent to a flight more than halfway around the world. If you use a mulching mower, don’t fertilise, limit cutting and watering, you might tip the balance in favour of the planet. 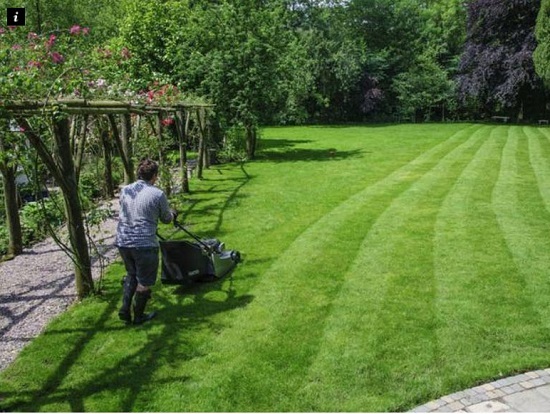 But then your lawn might not be as lush. 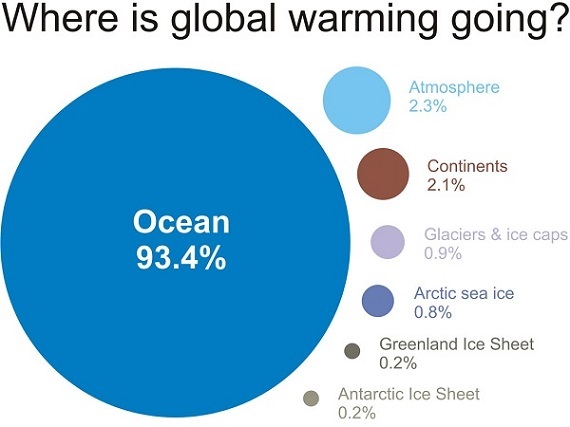 The 10% chance of reaching 6°C comes with greenhouse gases (CO2e) at around 580 ppm. We are currently at 480 ppm. The whole insurance industry is predicated on probabilities of considerably less than 10%. The authors are suggesting that low probability extreme events should be taken seriously by governments. A 10% chance of climate Armageddon is not particularly low. Weitzman was on the case back in 2008, when I did a post on him at LP, unfortunately in a gap in the archive. Peter Wood did a submission to the Garnaut Report on the subject. Garnaut, it must be said, looked the other way. 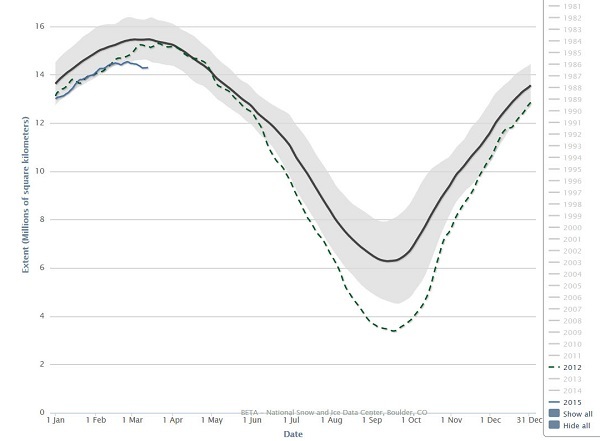 It shows 2012 and 2015 ice extent against the 1981-2010 average. In the short term ice can be compacted by storms, or flushed out through Fram Strait. A cold snap can extend the ice with a thin cover. Also, as we see in 2012, winter maximums tell you nothing about summer minimums. That’s the short story. You can read more here, here, here and here. As scientists upgrade their models of ice sheet decay, Greenland has a habit of exceeding their expectations. 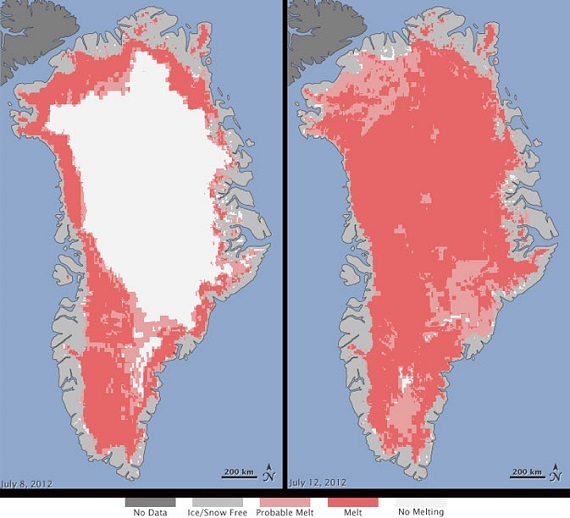 According to the Intergovernmental Panel on Climate Change, Greenland ice loss has increased a phenomenal 632 percent since 2001. 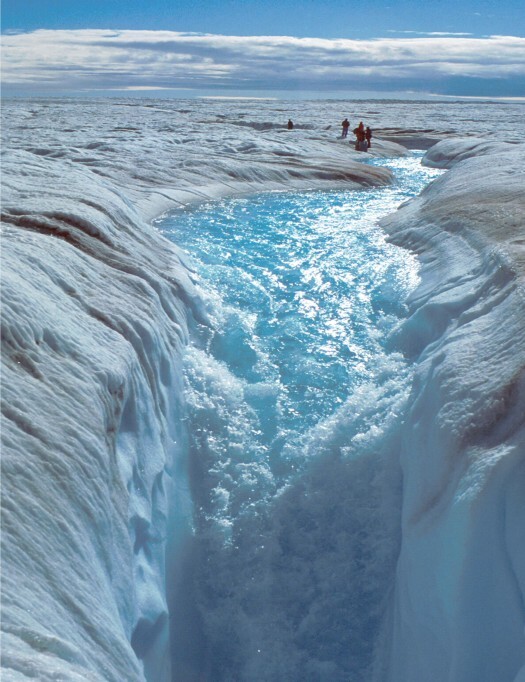 (14) This increase is coming from melt, sublimation (ice evaporating directly without melting first), melt penetrating to the bottom of the ice sheet through crevasses and moulins, and from rapidly warming Arctic Ocean waters penetrating beneath floating outlet glaciers, destabilizing these glaciers and increasing their flow. Massive gorges have been found beneath the ice where rapidly warming seawater has the chance to circulate deep beneath the ice sheet. 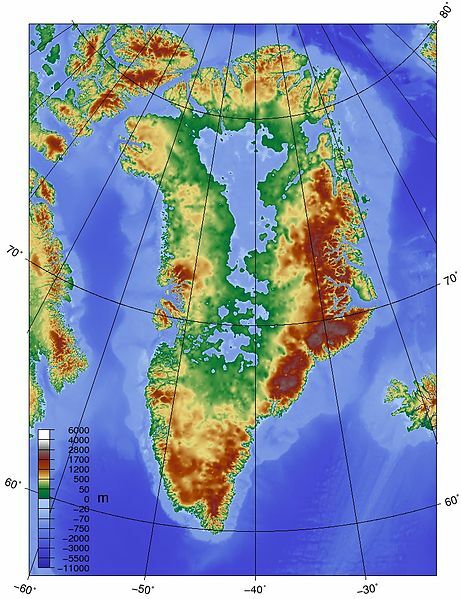 A large aquifer has been found under the ice above sea level. Soot forms on the ice from as far away as Siberia. As the ice sublimates, that is evaporates directly into the air, the soot remains to further decrease reflectivity. The knowns and the known unknowns add up to a pretty grim picture. 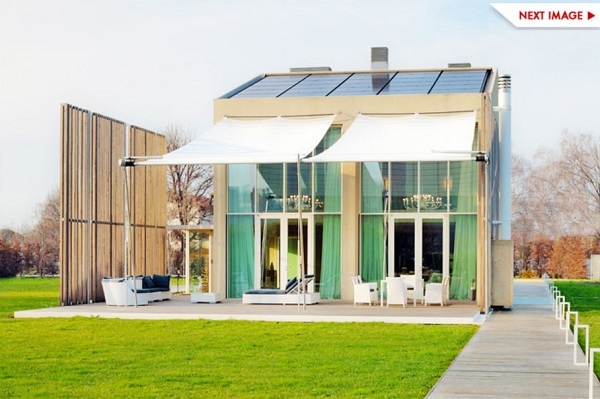 Commendable progress is being made on renewable energy in Europe. 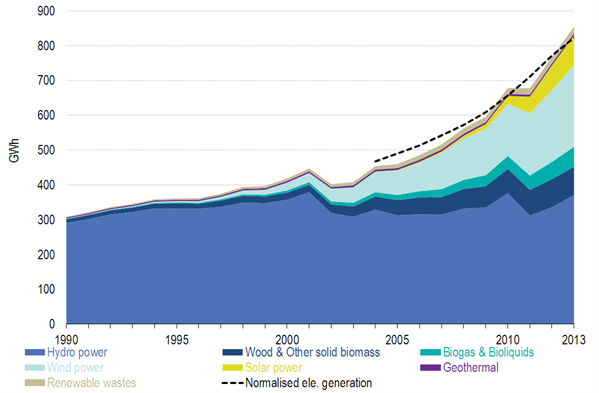 Renewables contribute 26% of EU electricity, 17% of heating and cooling and 5% of transport, … It’s generally thought to be easier to decarbonise the electricity sector than heating or transport, where oil and gas continue to dominate. Apart from hydro, wind (light blue) easily eclipses solar (yellow). An old technology, renewable wood, easily dominates through selective forestry. In recent times energy usage has fallen, with the EU now using as much energy as it did in 1990. The UK is the biggest laggard in meeting individual country targets. Four countries, Sweden, Estonia, Lithuania and Bulgaria, are ahead of target. Wind has the momentum in the US with forecasts that it could supply 35% of electricity by 2050, or even as much as 41%. Within 10 years wind could be cheaper than existing coal. Oxford University’s Smith School of Enterprise and the Environment has compiled a Stranded Assets Programme report. It is food for thought for Australia, then, that the Oxford report has declared it owner of “by far” the most carbon-intensive sub-critical fleet in the world (followed by India and Indonesia), with a whopping 90 per cent of its total 29GW of coal-fired generation capacity coming from 23 subcritical plants. Coal currently provides 40% of the world’s electricity and three-quarters of this is produced by the most-polluting, least-efficient and oldest “sub-critical” coal-fired power stations. The International Energy Agency calculates that one in four of these sub-critical plants must close within five years, if the world’s governments are to keep their pledge to limit global warming to 2C. Help is at hand, according to a group of Queensland engineers. The Callide Oxyfuel Project is one of just a few low-emission coal projects in the world, and demonstrates how carbon capture technology can be retrofitted to existing power stations. The technique has been on trial at CS Energy’s Callide A coal-fired power station at Biloela, in a project worth $245 million. They reckon they’ve done it on a 30-megawatt plant and now need to scale it up. Predictably, not everyone agrees it’s worthwhile. 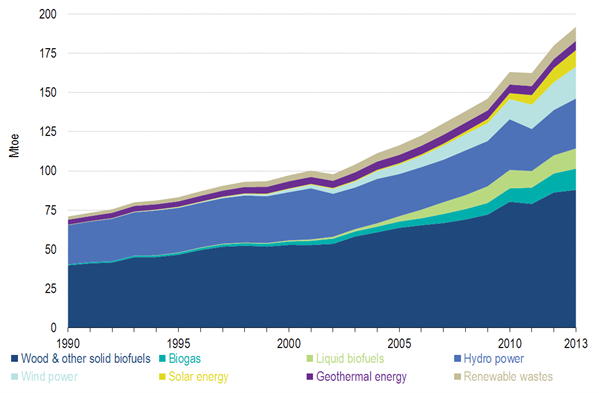 Global energy-related CO2 emissions flatlined last year, according to the IEA. Following an announcement earlier this week that China’s CO2 emissions fell 2 percent in 2014, the IEA is crediting 2014’s progress to China using more solar, wind and hydropower while burning less coal. Western Europe’s focus on sustainable growth, energy efficiency and renewables has shown that emissions from energy consumption can fall even as economies grow globally, according to the IEA. Global CO2 emissions stalled or fell in the early 1980s, 1992 and 2009, each time correlating with a faltering global economy. In 2014, the economy grew 3 percent worldwide. The story is about energy efficiency as well as growth of renewables. Cheaper fossil fuels could lead to a resumption of fossil fuel growth in 2015, however. Generally speaking I don’t rate the number 100 much except that it’s the number after 99 and the number before 101. Which might be just as well because when I was going through all the posts after transporting them (thanks tigtog) from Larvatus Prodeo I found two with the same number. So the 100th edition was actually number 99! If you like to laugh Graham Readfearn has assembled 11 climate change comedy video clips to celebrate his 50th post on Planet Oz. I can recommend John Oliver and Australians for Coal, for example. There’s a bad language warning on the latter. 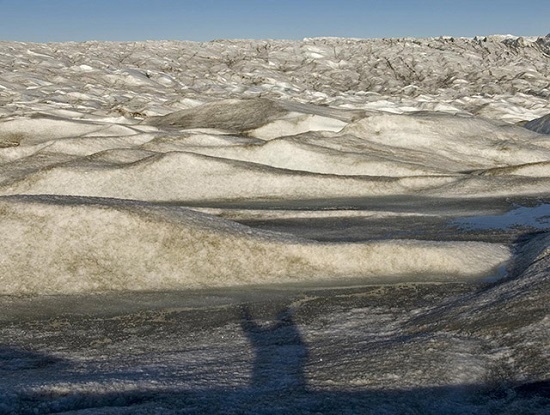 A ‘normal’ Greenland summer melt is illustrated by the left-hand panel taken at 8 July 2012, when about 40% of the ice sheet was subject to melting. The right-hand panel shows what happened for about a week thereafter and is not relevant except as a harbinger of things to come. A new study looks at the increased melting from dust and soot. 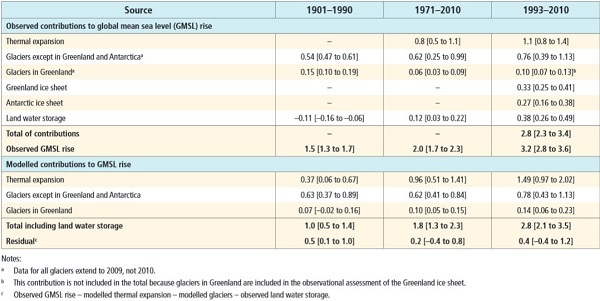 It found that a relatively minor decrease in the brightness of the ice sheet could cause double the average yearly rate of ice loss seen over the period 1992-2010. Soot resulting mainly from wildfires in North America and Russia has a greater melting impact than dust as such. However, increased dust is being produced in the Arctic and finding its way to the Greenland ice. Now 150 times as much dust as soot has been found at a site in the north-east. 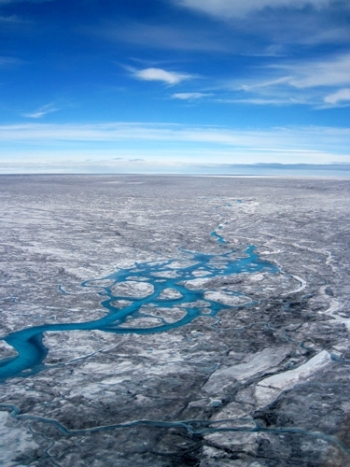 While this can’t be extrapolated to the rest of the ice sheet, there is concern that Greenland melting could be greater than previously thought. See also Antarctic images for context. 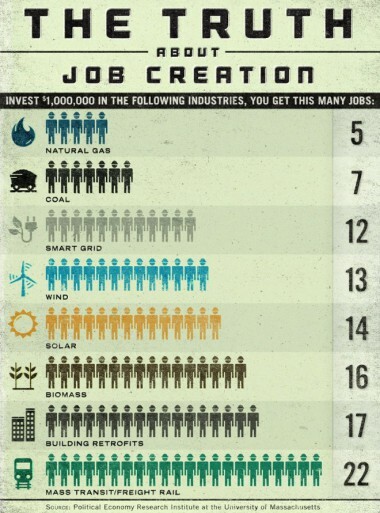 Australia is one of the few places in the world where green jobs are decreasing according to figures released by the International Renewable Energy Agency. Globally the sector now provides an estimated 6.6 million jobs, an increase of 800,000 from 2013 figures, but in Australia, jobs across solar photovoltaics and solar heating have declined, with up to 22 per cent of jobs lost in PV and 20 per cent in heating, according to Ethical Jobs general manager Michael Cebon. entirely the result of government policy, both through loss of incentives at the federal level and backpedalling by state governments. the economic models that have been used to calculate the fiscal fallout from climate change are woefully inadequate and severely underestimate the scale of the threat. 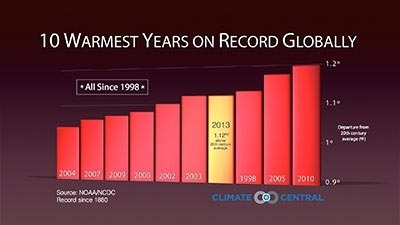 That includes those cited by the IPCC. They ignore the science, the full range of risks and simply assume away some of the worst economic impacts. latest book, The Collapse of Western Civilization: A View from the Future, [which] imagines a Chinese scholar in 2393 analysing the slow-motion disintegration of 21st-century democracies as they fail to tackle a growing environmental catastrophe. Oreskes and Conway say it’s a worst-case scenario, not a prediction. One way or another, the game is up, we need to act with vigour and determination. we don’t believe in ostracising any particular fuel and we don’t believe in harming economic growth. Under the fig leaf of Direct Action anything goes. 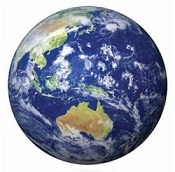 Meanwhile Julie Bishop confirms that climate change won’t be high on the G20 agenda. Once again they are out of tune with the nation. In a recent opinion poll 57% of those polled said the government should take climate change more seriously. while more than half of respondents felt the federal government was the primary body which should address climate change, there was a negative rating of -18 when people were asked to rank the government’s performance. This compares to a -1 rating from last year. These rankings are the differential between respondents’ “good” versus’ “poor” response to the government’s performance. This edition includes important updates on Greenland and Antarctica, global food supply, CSIRO cuts, CO2 levels moving decisively past 400 ppm and CO2 compared to global temperature rise. 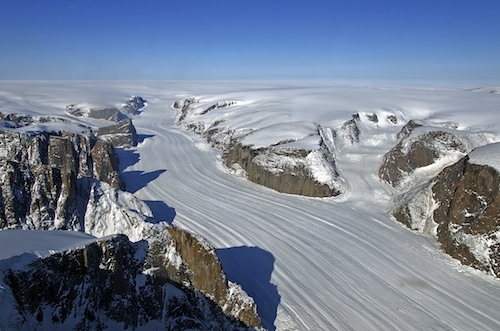 The mouths of most glaciers are melting from contact with warmer seas. It was felt that as this process continued the ice would lose contact with the water, slowing the melting. New studies of the topography have shown that many of these channels are below sea level. 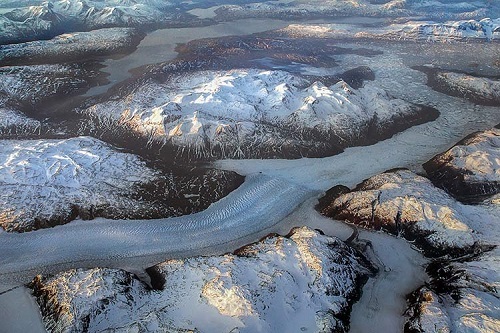 Valleys underlying many of the glaciers stay below sea level and extend much farther inland than previously suggested, so warm ocean currents that have migrated northward with the changing climate could eat away at the ice for much longer than current climate models suggest. “It will take much longer for these glaciers to lose contact with the ocean,” study author Mathieu Morlighem, of the University of California, Irvine, told Climate Central. 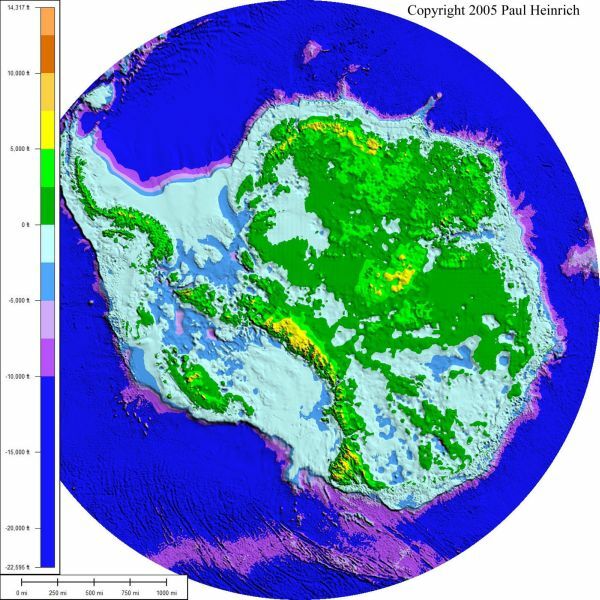 The report acknowledges recent findings that that the retreat of the Western Antarctica ice sheet was unstoppable – and could lead to sea-level rise of up to 4 metres over the coming centuries. 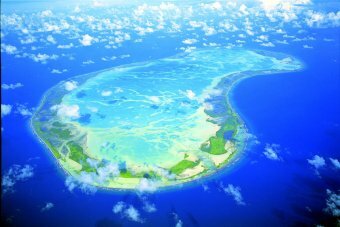 “A sea level rise of 3 meters (10 feet) over the next 100 years is much more likely than the IPCC thought possible,” the report said. In terms of absolute land loss, China would be at risk of losing more than 3 million hectares (7.4 million acres). Vietnam, India, Bangladesh, and Myanmar could lose more than 1 million hectares (2.5 million acres), the report said. The report recommends a radical increase in expenditure on agricultural research, which has been in decline everywhere over recent decades. The federal government cut CSIRO’s funding by $111 million over four years, which will result in 500 job cuts. Dr Borgas [president of the CSIRO Staff Association] said a plan to move the Aspendale Laboratories to the organisation’s larger site in Clayton had been previously discussed but had come to nothing. He said it was unclear whether the relocation would reduce the research performed by the 130 staff, which includes ice core analysis, air quality and pollution research and climate and atmospheric modelling. Most countries planning for a future increase their scientific research funding. When was it last this high? Possibly 15 million years ago, when it was warmer and there wasn’t much ice around. 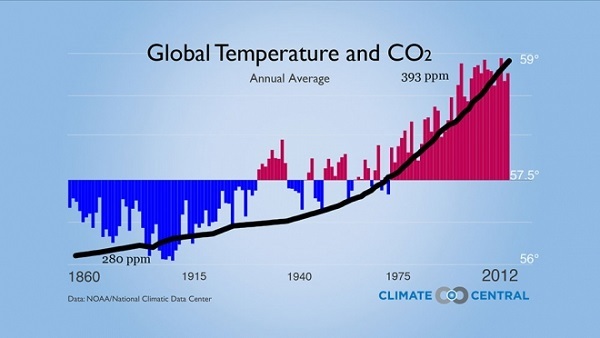 I came across this graph from the NOAA National Climatic Data Center plotting CO2 levels against temperature rise. While correlation does not mean causation there is simply no alternative explanation. If you take out 1998, which can be regarded as an outlier, the socalled ‘pause’ is only apparent from 2005, which is too short a time to mean anything. In this post I’ve included a series of explanatory images of the Antarctic in order to assist understanding the peril we are in from changes there, and why the Antarctic is going to be central to the climate change story over the coming centuries. What happens to the grandchildren of those who are children now is the big concern. In large part these images relate to items 2-4 of Climate clippings 96. 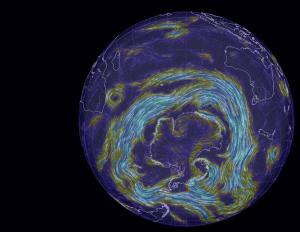 These winds draw rain away from southern Australia, and isolate Antarctica to some extent in terms of atmospheric warming. 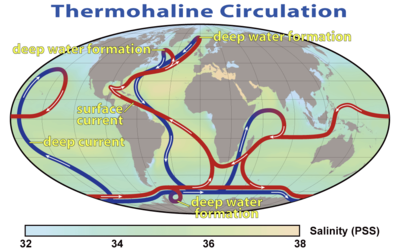 But they also churn up the ocean, leading to deeper mixing of heat and greenhouse gases. 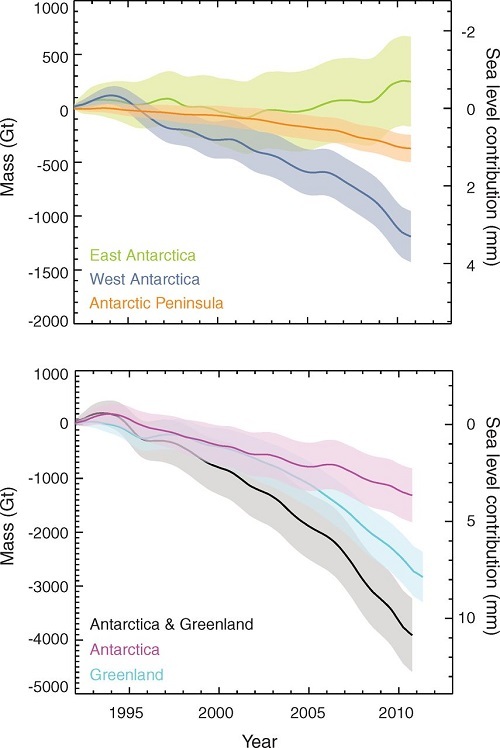 There is concern now that West Antarctica has tipped and with East Antarctica also more vulnerable than previously thought, sea level rise of some metres is now inevitable even if we were to somehow instantly curb greenhouse emissions. 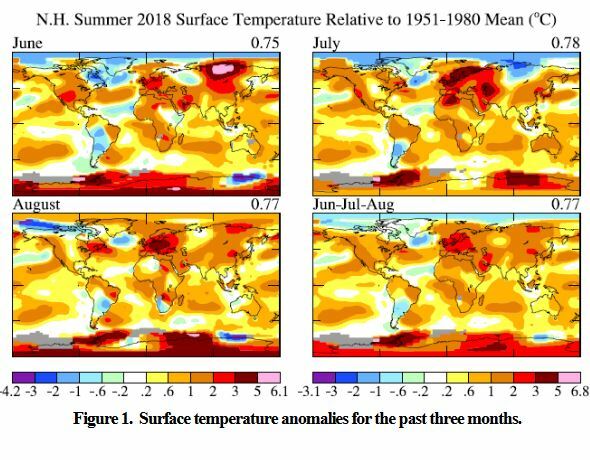 The panel on the left shows a more typical summer melt pattern, which is advancing noticeably over short time frames of a few years. 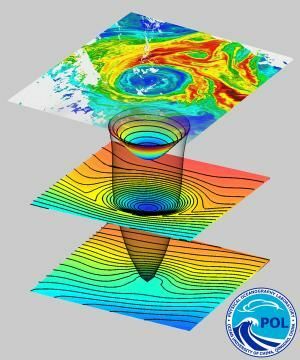 The new research sees concern that warmer sea waters may destabilise the ice further inland than previously thought. 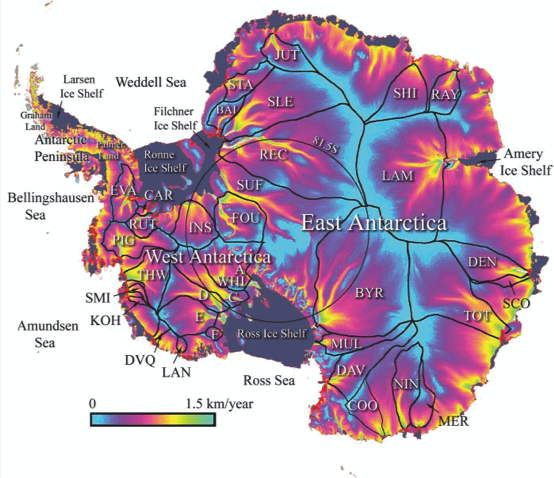 Match the red blobs on East Antarctica with the drainage map at Figure 4. Concern because the Andrill research shows what can happen with mild orbital forcing (the Milankovitch cycles) as the main driver. 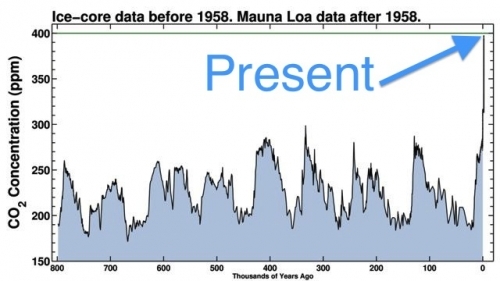 I understand that CO2 concentration back then was only 400 to 450 ppm, which is where we now, implying that we are already committed to wasting the West Antarctica ice sheet. There is some comfort, however, that a change in the orbital forcing, which is far weaker than what we are doing now, arrested the melt in West Antarctica and brought the ice sheet back again. 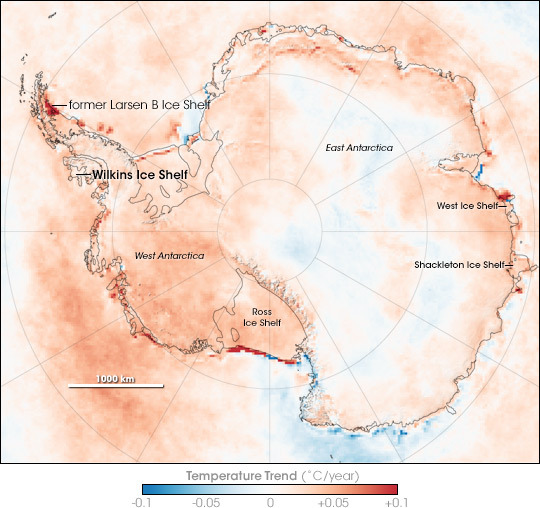 There was no tipping point which saw the whole East Antarctic sheet disappear. 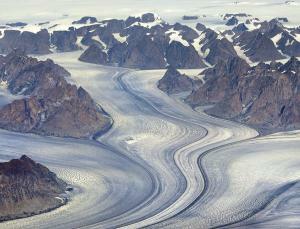 Greenland and West Antarctica are in a death spiral of accelerating ice sheet decay. It’s happened 60 or more time before in recent paleo history. 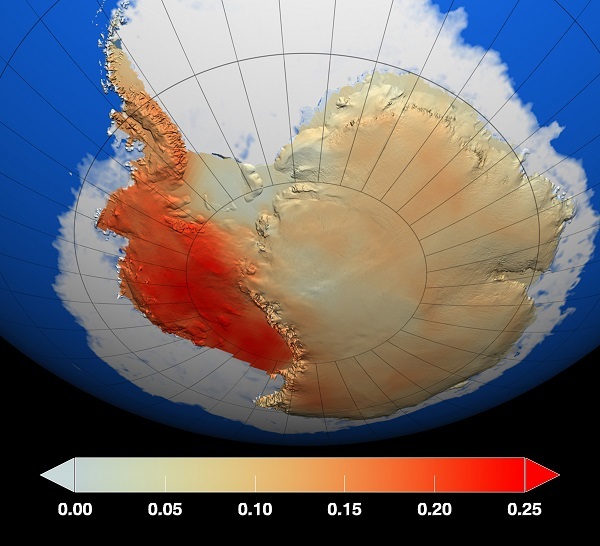 West Antarctica, being more vulnerable may overtake Greenland. One could say from this that East Antarctica is not yet in play, but science seems to suggest it is not far away. 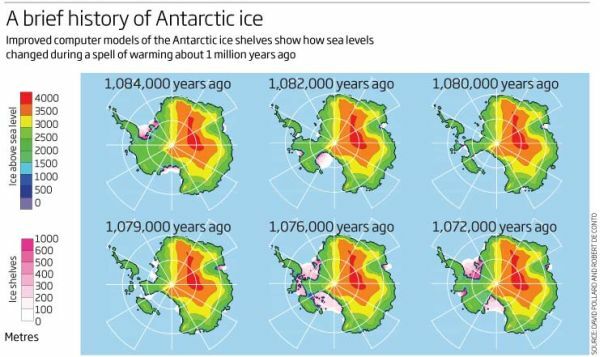 My thinking is that East Antarctica will tip sometime in the next decade, and that ice sheets will decay from there in a pattern that is more exponential than linear. Hansen’s scenario, which he puts forward as a serious possibility, does not look crazy. 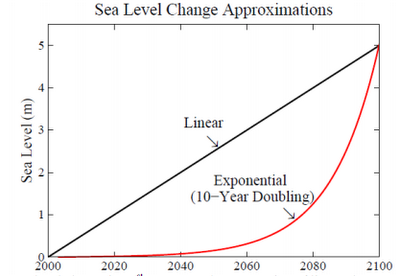 I suspect that we are already committed to double digit sea level rise, and there’s not a thing we can do to prevent it; the question is when will it happen? We can only adapt and minimise. I suspect also that things will go seriously pear-shaped during the latter part of this century. Pity our grandchildren’s grandchildren. 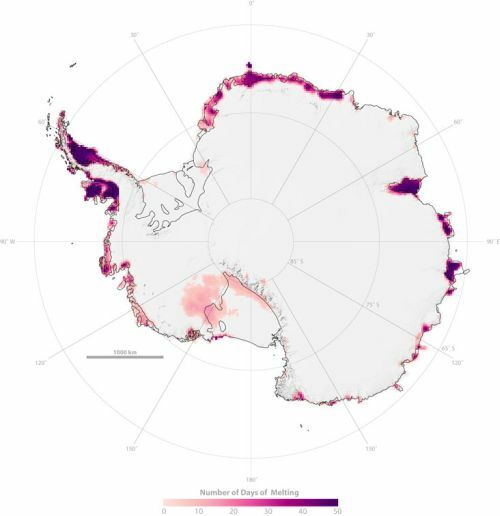 Update: There is a short ABC video news item about the Antarctic ice melt doubling since the last survey. At the end it says the process could take 1000 years. For a complete melt that would be lightning fast – 7.5 to 8 metres per century, or a metre every 12-13 years. We are pushing the system more than 10 times faster than it has ever been pushed before. 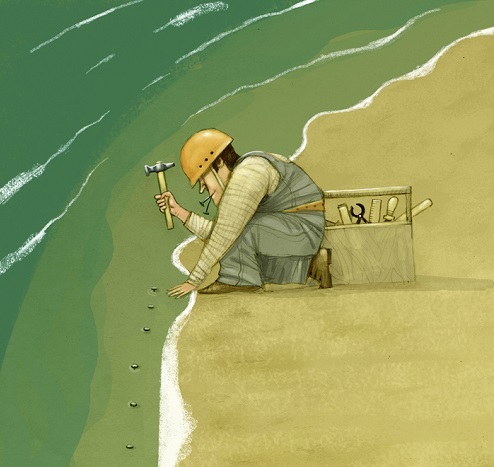 See also Gareth Renownden Goodbye coastline: we are beyond the point of no return.